Our teams of practitioners are highly skilled specialists in fertility who have years of experience working together in this field. As well being fully up to date with the latest advances in fertility treatments and IVF, they are also sensitive to the specific needs of each individual couple. Dee gained her fertility qualification from the University of Central Lancashire, graduating with distinction in 2006. In the same year she set up Edinburgh’s first private fertility awareness clinic, later joining with Rachael Forrest and Fiona Wolfenden to establish The Natural Fertility Centre. Jane provides nutritional therapy for the Natural Fertility Centre in Edinburgh and Glasgow and creates tailor-made nutritional programmes to improve energy levels, assist detoxification, balance hormones and improve immunity. She has developed the formulae for the NFC's nutritional range ' NFC Essential' which are often a vital part of our treatment strategies for couples. 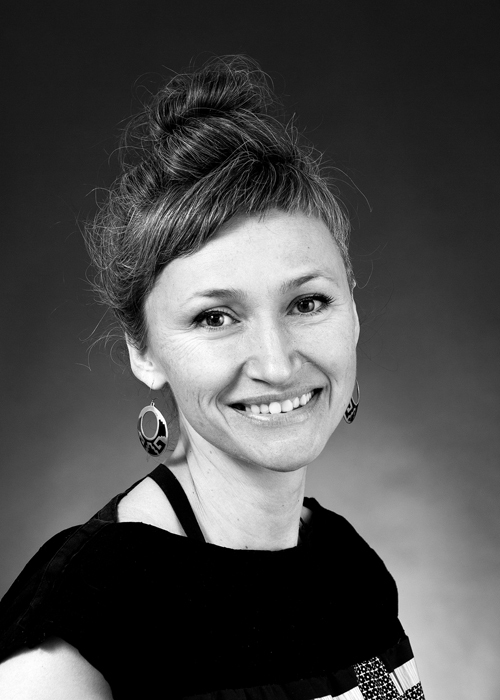 Monika is a graduate of the Northern College of Acupuncture in York and a member of British Acupuncture Council. Prior to qualifying as an acupuncturist she studied Social Care and Counselling. Her studies and work that followed have given her an appreciation of the transforming and healing potential of a therapeutic relationship as well as the tools to help facilitate that process. Enhancing a sense of well-being in her patients and educating them in self-care is her passion and main clinical focus. Recently Monika has also been involved with the Pain Clinic at the Royal Infirmary Edinburgh through observation of clinical work of dr Ooi-Thye Chong, whose focus is on researching the efficacy of acupuncture for the management of chronic pelvic pain in women. Anu graduated as an acupuncturist from the Northern College of Acupuncture (NCA) in York and is a member of the British Acupuncture Council. Before studying acupuncture she trained as a dietician and worked in the NHS but has been working as part of the NFC for the last 5 years. Anu adopts a relaxed gentle approach whilst trying to get to the root of the issue. Fiona is one of the Directors and founders of the Natural Fertility Centre and has been qualified in Acupuncture and Chinese Medicinal Herbs for over 20 years. She is also a Registered General Nurse and experienced massage therapist. She enjoys the challenge of diagnosing her patients from a Chinese perspective and integrates this with her knowledge of Western Medicine. Fiona has many years experience of patients with endometriosis, PCOS (polycystic ovarian syndrome) and recurrent miscarriage. Jill is a very experienced and highly qualified clinical massage practitioner and works as part of the Natural Fertility Centre, practising Abdominal myofascial release & massage. These specialist treatments are carried with the patient's physical and emotional needs always a priority - the massage can be gentle as well as deep. Jill has a degree level qualification in Advanced Clinical and Sports Massage which is the highest training currently available in the UK.